Clothingloves.net is a leading supplier of Wedding Dresses, Special Occasion Dresses, Women’s Clothing, Men's Clothing, Intimate Lingerie etc. Customers choose Clothingloves.net because of our fast delivery, professional service and quality products. In addition to our primary offerings, our inventory also includes Holiday Specials, Bedding and Lounge, Fashion Shoes and Wigs. New products are added every day on Clothingloves. Our innovative marketing department constantly searches for cutting-edge products to attract and satisfy the broad demand of our customer base. We are committed to improving the quality of your experience with our wide selection of top notch products at rock bottom prices! Because of our extensive, solid relationships with manufacturers here and abroad, Clothingloves has access to the most cutting-edge technology. The result is reflected in the price and quality of our products. Our logistics and stocking centers in Shanghai and Suzhou tests products received and shipped daily. Our well-trained technical staff is ready to answer any questions you might have about your purchase. Clothingloves customers are always surprised by how fast they receive their order from us, even when orders were placed over the weekend. Clothingloves is able to offer world class shipping through partnerships with DHL,EMS and other major carriers. Professional warehouse personnel will take good care of your orders by making sure they are packed in accordance with our high standards. We value the relationship with customers like you, so our customer service team is right here waiting to help you. We are consistently adding new products and want to ensure that our staff is well trained in the latest trends and offerings. 24 hours hour live chat service is available for taking all your consultation and inquiries. Your satisfaction is our top priority. Clothingloves respects your right to privacy. Our goal is your complete satisfaction and we are not in the business of sharing your information with others. All personal data is stored on our secure server with several layers of firewall protection. If the items you receive are defective, you may return it to us within 7 days for a refund or 15 days for an exchange, from the day you received the item. Please refer to the related policies in Clothingloves help center to know more. The prices of their items are very affordable. They have a lot of options for the delivery and payment methods. 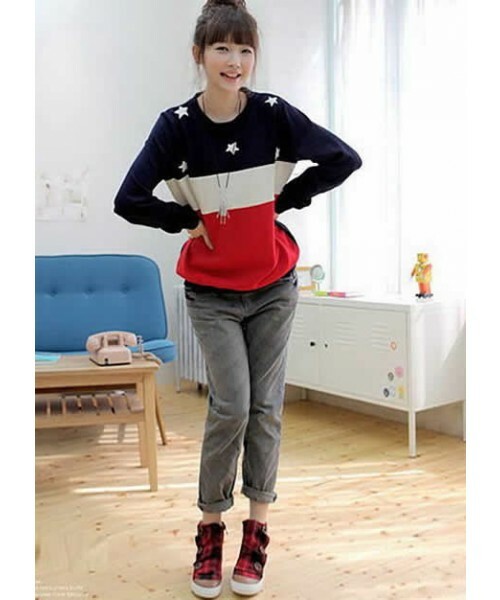 They also offer wholesale clothing purchases like wholesale women jacket and more! BTW, they also offer FREE clothing up to $200. You can read their bloggers program here. It's a shame you don't have a donate button! I'd definitely donate to this fantastic blog! I suppose for now i'll settle for bookmarking and adding your RSS feed to my Google account. Omg Asian fashion is always so cute! *^_^* Those sweaters are adorable!! Thanks for sharing this site with us. great blog you hv here! come take a look at mine and see if you wanna get feature in it! I'm new to this blogosphere! bookmark and try to visit more frequently. Have you tried buying from their site? I wanna know if there are any hidden charges because in some sites, items are so cheap but you have to pay for taxes. become relaxed and several wholesalers allow nonmembers to generate purchases online as properly. Each every year they take residence the coveted title of "best coffee". Whether you're a fashion retailer, an e-tailer, an e - Bay seller, otherwise you want to earn a little extra income selling costume jewelry, the key to success is finding great wholesale jewelry from your costume jewelry supplier. Salwar Kameez has grown to be popular today in India, Sri Lanka, Pakistan and Afghanistan. Going in perfect outfit in the winter months season is an addition in your personality. captured women after defeating the opposing Nation. these soldiers, and they also always wear uniforms that represent them in a stylish fashion. are written by brain dead individuals? :-P And, if you are writing on other sites, I would like to follow you. Would you post a list of all of your social community pages like your twitter feed, Facebook page or linkedin profile? thought I might as well check things out. I like what I see so noow i am following you. Look forward to lookiing over your web page repeatedly.